Pratap, an 18-year-old who lives with his family in Hoskote, Bangalore, suffered from epileptic fits since the time he was two years old, a condition that affected his vision. Due to his seizures and eye condition, Pratap could not attend school through most of his childhood and was dependent to quite an extent on his family. It is only as recently as 2010 that he came under the treatment of Sankara Eye Hospital, a Sightsavers’ supported partner. He underwent surgery for cataract in both eyes and was also prescribed spectacles. The ability to see more clearly has changed his life, even though he still has low vision. Unlike before, Pratap can now perform most routine tasks independently. 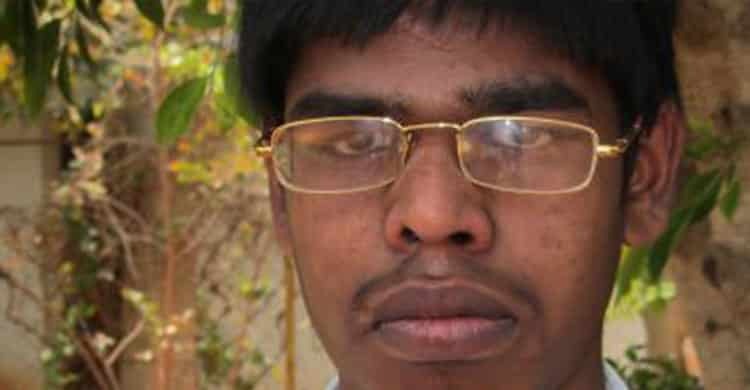 Since he missed school through most of his childhood, he is now undergoing rehabilitative training at the National Association for the Blind (NAB) Karnataka, with the hope of earning his livelihood and becoming independent, someday soon.